Why would any Jew make up a story embarrassing to a great rabbi of history? Why would anyone make any of it up at all? The characters are historical, the setting is historical, and the narrative is plausible and coherent. Why should we not believe the narrative is historical? 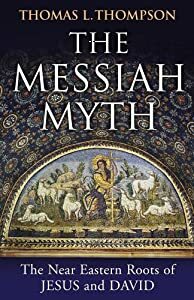 there were certain linguistic conventions in Jewish antiquity whereby a speaker or writer could refer meaningfully to the concept of a messiah by alluding to a small but significant group of scriptural texts. This post looks at the question of discovering what word “messiah” itself meant, or what role a messiah was thought to have, among ancient authors and with special reference to Paul. So was Paul really “the most messianically interested of any ancient Jewish or Christian author”? Did he really mean “messiah” in any traditional Jewish sense or was it mainly a personal name he applied to Jesus? If Paul used the word Christ as a title for Jesus then we may understand Paul as having a messianic Christological view. If he used it only as a personal name, however, then we may conclude that he had no such Christology and the word had no particular or traditional messianic meaning. 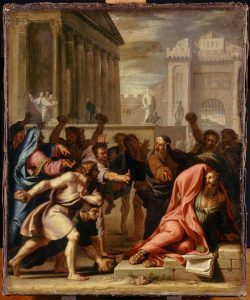 Why did Paul persecute the early church? Who would make up a crucified Messiah? This is a good example of what happens when one’s thinking is stuck firmly inside the box. The point Ehrman is making is that the concept of the “messiah,” the expectation of what he would be and what he would do, conflicted with the fact that Jesus had been crucified. In other words, historical expectations were at odds with (alleged) historical events. But if that is indeed one’s starting assumption, and if it is wrong, then it will lead us down all sorts of problematic garden paths and into conclusions which are not only erroneous but unnecessary. The first part of this assumption, entirely based on the Gospels and Acts, is that certain people made judgments about a certain historical man. If that were the case, then an anomaly would certainly exist between traditional ideas about the messiah and what the life of that man actually entailed. Why, then, the question arises, did those people come to such a judgment when it conflicted so much with standard messianic expectation? But all we have to do is ask: what if no judgment was initially made about any historical man? Everything that follows would then be entirely different, and perhaps more amenable to understanding how Christianity began and showing a conformity to what some of the texts themselves are telling us. Richard Carrier has posted a fascinating artticle on the pre-Christian Jewish concept of a dying Messiah and showing the nonsense so thoughtlessly repeated even by scholars the originality of Christianity’s idea that a messiah must die in order to offer saving atonement to his people. Richard’s post is beautifully lengthy exploring much detail from the evidence. I can’t resist taking this opportunity to refer to the many posts I have also made on this same theme, although they do not explore the same details as Carrier does — listed below. 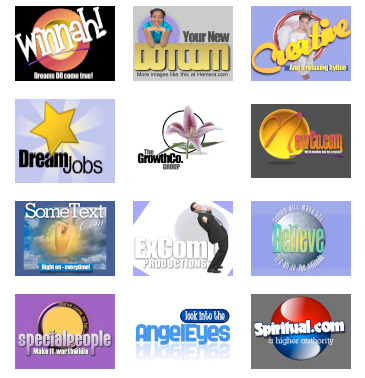 My posts are for most part based on other scholars who have advanced the same idea, including a Jewish one who sees certain sectarian Second Temple Jewish ideas about Isaac’s offering (apparently thought by some to have been a literal blood sacrifice that atoned for the Jewish people) overlapping with messianism in the time of the Maccabean martyrs — whose blood also had atoning power. Other posts are based in some measure on the considerable work of Thomas L. Thompson who has written quite a bit on the concept of pre-Christian messianism. Of significance is the death of the messianic (anointed high priest) having the power to forgive and atone; and the Davidic messiah himself was very often depicted as a figure of suffering and even ultimate rescue from death or near-death. Carrier refers to Daniel’s messiah being killed. Saul, another messiah, was also killed. 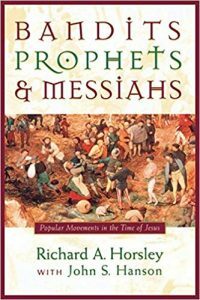 The concept of a messiah per se dying — whether the messiah was humanly fallible or a righteous martyr — was very much a part of the thought world of sectors of Judaism at the time of Christianity’s birth. The messiah myth, millennia old across north Africa and the Middle East, is still alive in Libya today. Words recently spoken by Gaddafi were scripted long ago by the Pharaohs of Egypt and the Kings of Mesopotamia, and are found in the Psalms of David and in the proclamations of Jesus Christ. I repeat a few of them here, then place Gaddafi’s perception of his messianic role beside them. Interesting also is the motif of family relationships Gaddafi ascribes between himself and Nasser of Egypt and even the U.S. President Obama. All this is, one might truly say, “so iron age”. It is the stuff one reads on monuments of ancient kings. Philo’s Spiritual Messiah: allegorical and personal? This post is another that attempts to “wikileak” what scholars themselves publish about the diverse nature of the ideas surrounding the origins of Christianity. It is the first of these that I focus most on in this post. Hecht argues that the Messiah in Philo is, for the spiritually discerning, the Logos working in “man” to save him spiritually by transforming him into the divine character image.